This 2005 Sealine F42 appropriately named Independence offers exactly that: freedom, solitude and the peace that comes with sailing across the Adriatic. 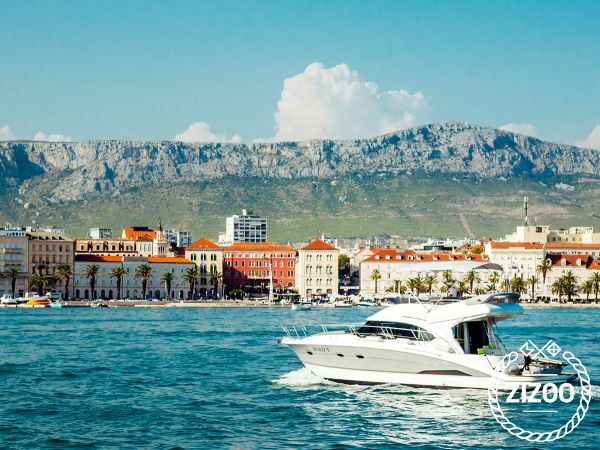 With 2 cabins that sleep 6 comfortably, as well as an addition berth in the salon, this cruiser is a great way to discover the beauties of the Croatian coast. Head over to the ancient Greek port of Kastela or to the charming town of Primosten. And don't miss the little cove just to the left of the city (if looking from the sea) with an inviting little cocktail bar erected up against the cliff. There you will experience turquoise waters and a welcoming atmosphere. Talk to the locals, learn a few common greetings and charm your way into some free prosciutto or a glass of wine. For more boating ideas, contact the charter pros who are there to help you out with anything you need.